An airport spokesman said most of the flights were already finished for the night before the power went out. Terminals at Reagan National Airport in Washington went dark for 1½ hours Wednesday night, and the local utility company was trying to determine what caused the power outage. The blackout was reported about 9:45 p.m. EDT, said Andrew Trull, a spokesman for the Metropolitan Washington Airports Authority. Reagan National announced via its Twitter account that power was restored at 11:13 p.m.
"There is a temporary impact on flights, both inbound and outbound, but a majority of the flights have already landed or departed" for the night, Trull said. A passenger told NBC Washington's Shomari Stone during an unlit interview that she just flew in from Los Angeles. "I'd like to get my luggage," the woman, who was not identified, said. "It's out there somewhere." As of 10:36 p.m., 22 flights scheduled to depart had not yet done so, according to the airport's website. 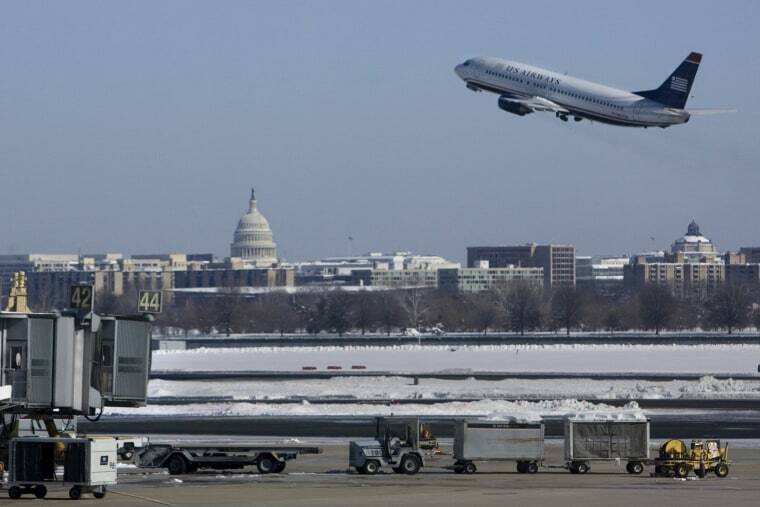 But shortly after that NBC Washington reported that flights were operating again. Trull said the airport's main two power feeds, supplied by Dominion Energy, were temporarily down, but emergency lights were powered by backup generators. Dominion spokesman Chuck Penn said utility workers were troubleshooting a cause.